Small businesses account for over 99% of all United States businesses, according to the latest data from the U.S. Small Business Administration (USBA). The USBA’s 2016 Small Business Profile reports that there are almost 29 million small businesses in the US currently. If you’re an entrepreneur thinking about starting your own business, you almost have to wonder if there are any new company names available. To come up with something completely unique that doesn’t sound like any of the other 29 million company names is not going to be easy. Yet it’s one of the most important pieces to the new business puzzle. 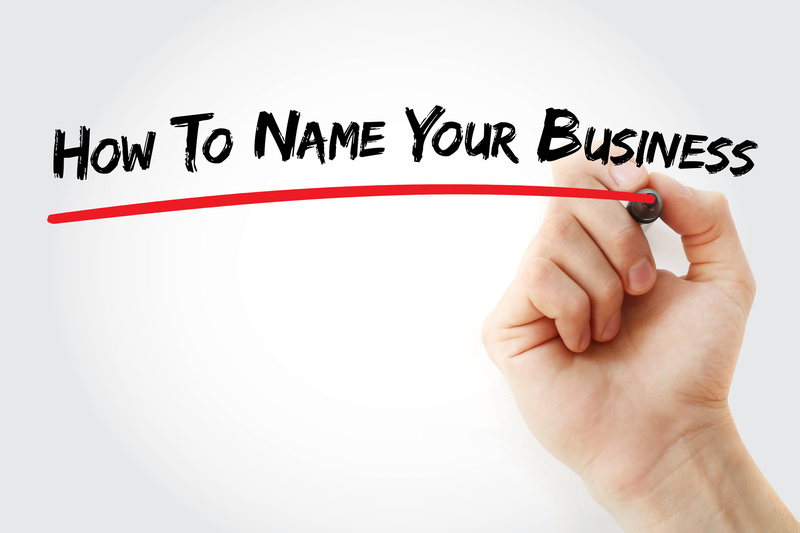 Your company name is your brand identity. It defines your company’s personality, what you stand for, and in many cases, what type of industry it falls into. But don’t let the magnitude of the task overwhelm you. We’ve created this guide to walk you through the process and ignite your creativity. It’s important to get an in-depth idea of what your company is all about. During this exercise, you’ll dig deep to unearth the truly defining aspects of the company’s mission, goals, and desired customer perceptions. That last one is the most important foundational block. It’s what your company should be built on. Brand personality is the character of your business as defined by how your customers feel when they interact with your product, service, or idea. What are some broader defining characteristics of the category your company falls into? What specifically distinguishes you from competitors in the same niche? What problem(s) does your brand solve for your customers? Are there any tangible benefits to the product or service? What do you offer that is most valuable to customers? Are there any emotional benefits to the product or service? Describe the essence (core concept) of your company in 2-4 words. Now you should have a good visual understanding of what makes your brand important to people, unique, and trustworthy. Now let’s do some fine tuning. In this stage, you’ll attach some human-like qualities to your concept. Use your answers to the above questions to generate words and short phrases that describe the “human” personality of your company. Use adjectives only to make this list. We recommend keeping your word list less than 10 words. Some people might have difficulty coming up with more than a few words for that last one. But this is one of the most important steps when it comes to brainstorming new company names. If you’re having trouble, there’s a helpful list of character-defining words in this post from brand strategist Fabian Geyrhalter. You should now have a solid list of keywords and phrases that describe the various facets of your business. Now it’s time to play the word association game. Feel free to find or create your own personalized mind-map template. If you need some inspiration, this free concept map worksheet is a great start. In the center box or cloud write your answer to Question 1 above. In the offshoots from the center, add the adjectives used to describe the human side of your business. Next, grab your trusty thesaurus — you can also use Google, a word rhyming site, or a word generator like Visuwords. Write down the words that come to mind or you find associated with the adjectives in each branch. Try to limit this to no more than 5 words per branch. Any more and the exercise may get overwhelming. Once your mind map is complete the word bank you’ve created needs to be categorized. You can also come up with your own set of categories if none of these seem to fit. You should now have lists of words broken down into categories. Choose 2 or 3 of the categories that best fit your company. And now it’s time for the really fun part. Start combining random words from your different lists to create two-word names. Make sure not to censor yourself during this stage. Even if two words sound ridiculous together at first, you may come up with a play on them that is perfect. Now highlight your top 3-5 and proceed to the final (hopefully) stage. Does it leave a strong impression when voiced out loud? Do you immediately associate it with your brand personality from Stage 1? Does it align with your company values? When you read the name does it evoke positive thoughts and feelings? Will it be easy to design a logo around? Does it have an overall appeal when you read it in a sentence? Does it relate to the benefits your product or service offers? How unique is it, really? Does it present a sense of credibility? If you don’t have a name that answers the majority of those questions in the positive then head back to the drawing board. It’s important not to get frustrated. When people get into a rush when deciding on new company names, it can often spell disaster. If one of your names does fit the bill, there’s one last step to the evaluation stage. You need to find out if the name is available to be registered. Companies like Opstart offer free look-up services. New businesses, new company names. Hopefully, this guide helps you on your way to something unforgettable. With a little creativity, ingenuity, and patience you’re bound to find a name that stands out from the rest of the noise. Once your business is underway we encourage you to visit Working Home Guide’s Business Section. We have a large library of helpful how-to guides and advice for businesses of all types.